Need some cheap furniture for your apartment or college dorm room? You might just find what you need here. 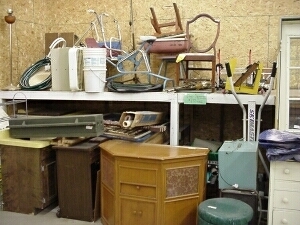 We have chairs, dressers, night stands, small tables, and many other things. Some of the things might not be in the latest sytle, but you might find something perfect for your needs. 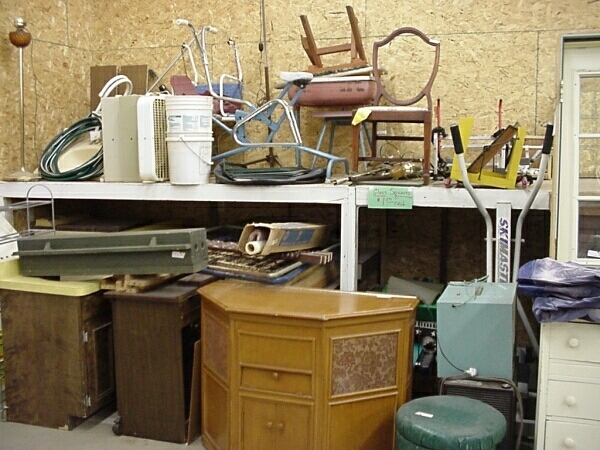 Most of the furniture is in good condidtion but might need small repairs. As with large appliances, large furniture purchases may be refunded if arranged prior to purchase at the sole discretion of the manager. Check out the pictures below to see what we have. Click on the above picture to enlarge it.